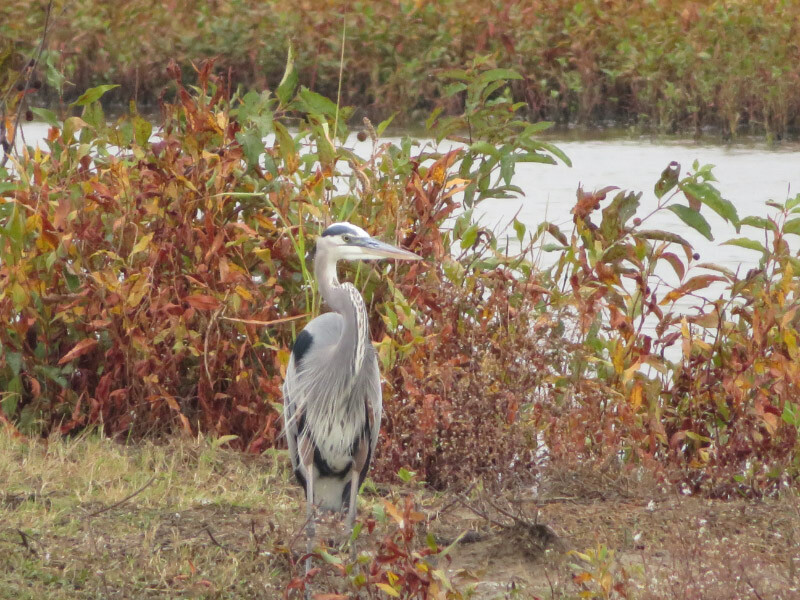 We saw several Great Blue Herons (and there were probably more about than we happened to see. One of them was startled my something and I snapped a picture as it took off with its neck still straight out rather than folded into the tight S for longer distance flying. There was an Osprey eyeing our cars from the top of the road we were on – the top of a dike between two ponds. My sister contorted herself through the sunroof to take pictures! I had a better vantage point from the backseat comfortably seated although I did catch the edge of the opening in one of the pictures. The osprey migrate through this area. We saw a blob of white out in the lake and watched it as we got closer. It became two white blobs. 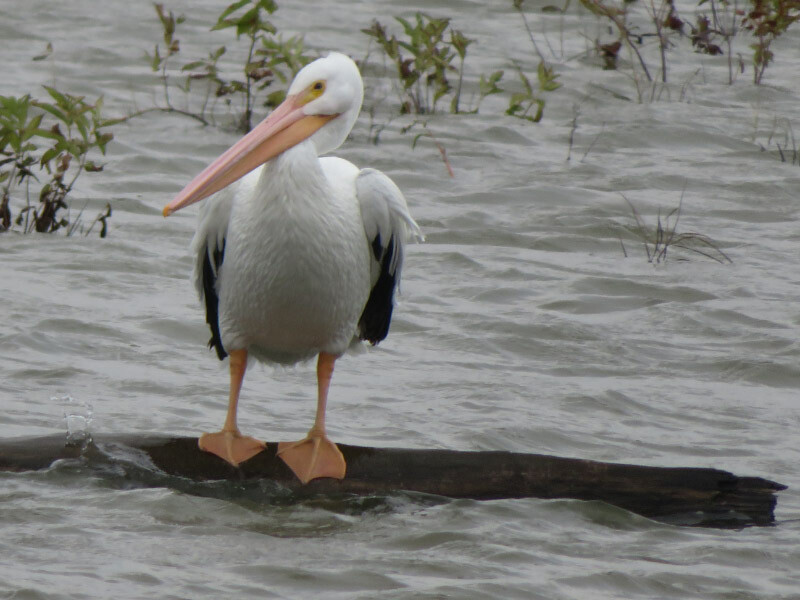 Then we were close enough to see what it was: two American White Pelicans. They are well known for migrating through Hagerman. 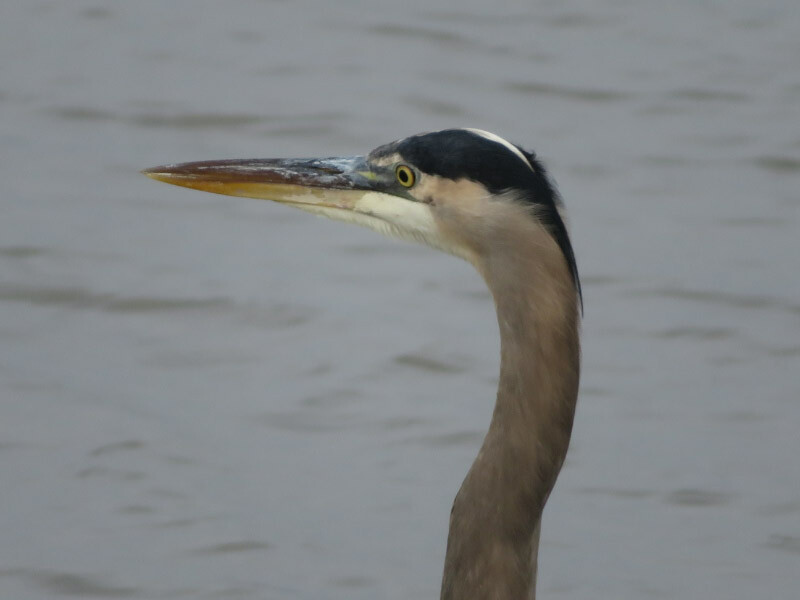 I used my zoom to get some pictures of the one that was awake and preening. Somehow I decided that most of the ducks were mallards and too far away to photograph on the cloudy day but the one picture I took of a duck and looked at on a larger screen when I got home turned to be a Northern Pintail! I should have looked more closely at the ducks…but I would have needed to take a spotting scope and spend more time; I didn’t have either this trip. 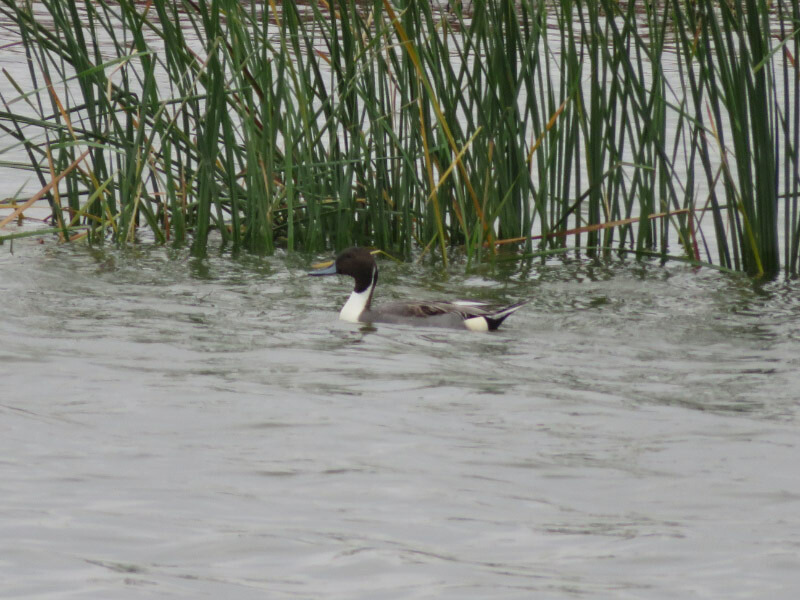 This is a wintering area for pintails. Heading back to the visitor center – we saw two Turkey Vultures in a field. 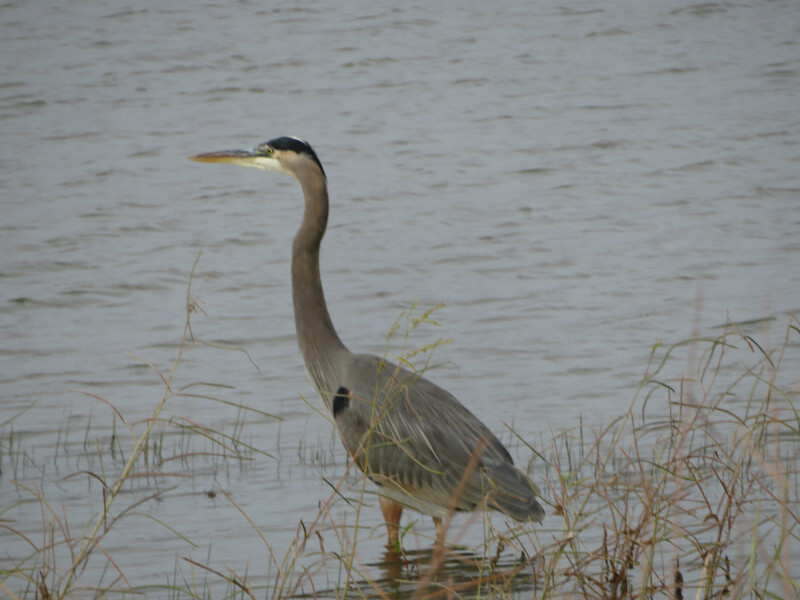 These birds breed in the area but may not stay for the winter. They are stay year-round in Maryland so I was surprised to see the range map for them showing that they are summer residents only in North Texas. Our visit to Hagerman was a great way to spend 2 hours on fall morning. Next time, I’ll allow myself even more time and do some hiking along with the auto tour.